小威廉絲：I am literally in tears watching @TigerWoods this is Greatness like no other. Knowing all you have been through physically to come back and do what you just did today? Wow Congrats a million times! I am so inspired thank you buddy. 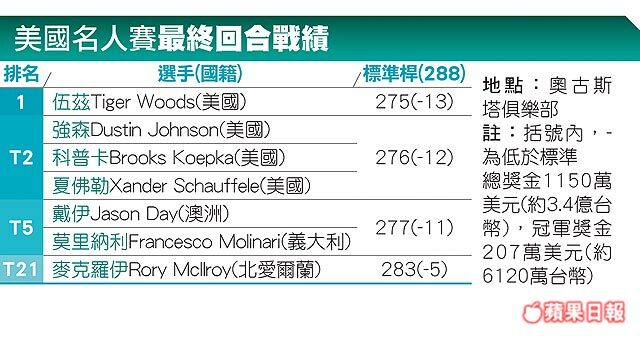 柯瑞：Greatest comeback story in sports! Congrats @TigerWoods Let me hold one of those 5 jackets one time! 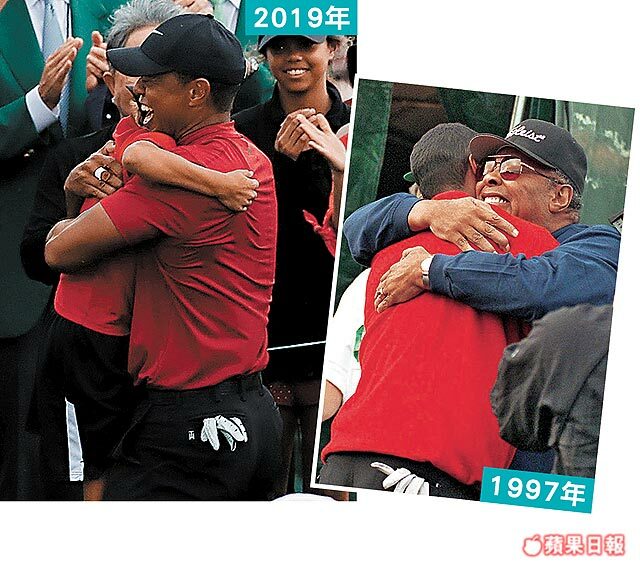 川普：Congratulations to @TigerWoods., a truly Great Champion! 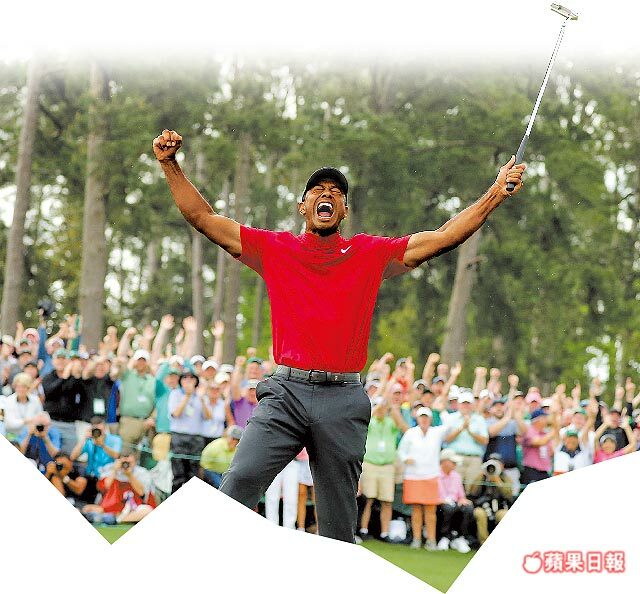 布雷迪：Congrats Tiger! What a performance..